Let your love sparkle with our lovely Gold Heart Sparklers! Make your Festival of Lights enchanted by lighting these gorgeous sparklers as you welcome this joyous holiday season! Your friends and family will have sweet memories of a wonderful night together! Gold Heart Diwali Sparklers are the Perfect Touch to your Celebration! The Original Large Heart Sparkler. Our Gold Heart Diwali Sparklers were designed specifically to show love at your event. 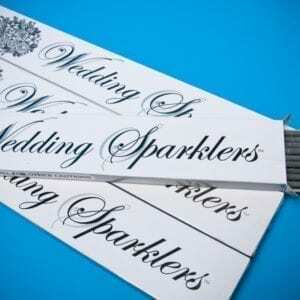 We worked closely with our manufacturer to create this beautiful sparkler. Others now copy our idea! 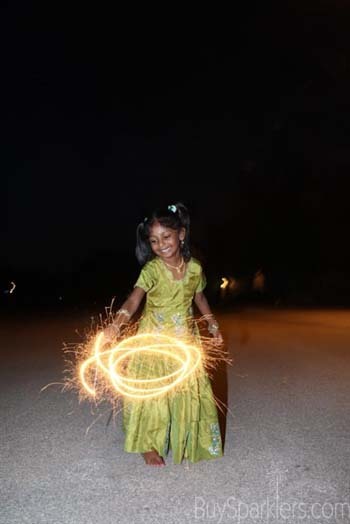 A Diwali Tradition. Show your love to family and friends during the Festival Of Lights. 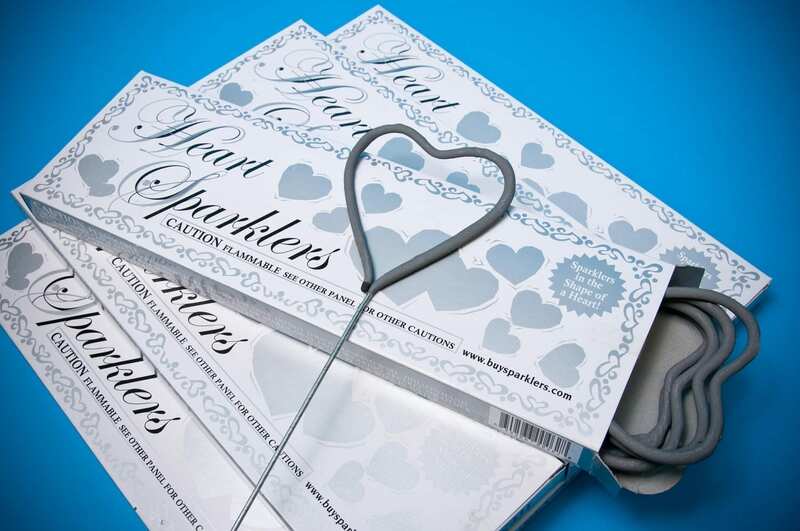 Our Heart Sparklers are the perfect way to exchange affection between you and your loved ones. Other sweet gifts include cards, flowers, jewelry, chocolates and other sweet treats. Make your loved ones feel special by adding a few Heart Sparklers to your centerpiece decorations and light them in the evening. Sparkling Photos. 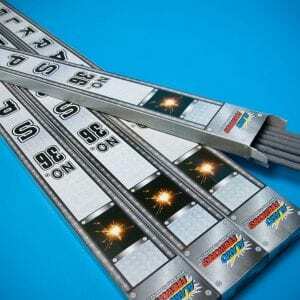 Looking for a way to make your Diwali photos even memorable? Gather your loved ones around and light a few of our Gold Heart Diwali Sparklers to celebrate this special time of year! Adding Hearts to Diwali. If you are planning on including hearts at your event, then our beautiful Gold Heart Diwali Sparklers are the perfect addition as a favor or decorations! Guests will be thrilled to take home a token of fun from your event. 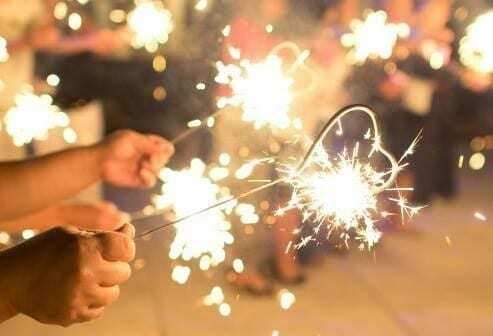 Ask your guests to post selfies with their sparklers on Instagram, Facebook or Twitter! 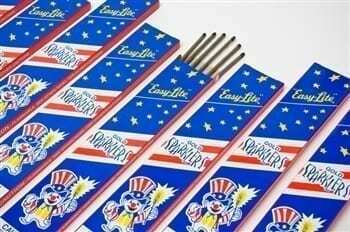 Friendly Reminders: These sparklers are recommended for outside use only and not recommended for children under 8 years old. Hold at arm’s length when burning Be sure to have a bucket of sand or water nearby to dispose of hot sparklers to prevent burns or injuries. Questions? 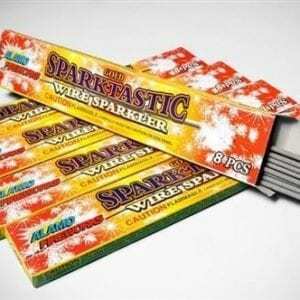 Contact us at info@buysparklers.com, we are happy to help!